Attorneys Eddie Stephens and Cindy Crawford argue before the Honorable Charles Burton. Stephens: In my 18 years of practicing law, I have never tried an “at fault” divorce. I did not truly appreciate the cultural differences between our culture and the Islamic way of life. I certainly did not know what a “Mahr” was. Crawford: Aside from taking some International Law courses in law school at George Washington University and occasionally indulging at restaurants featuring Middle Eastern fare, I had little to no knowledge of the legal system in Iran or the true meaning of “Sharia Law”. Stephens: The Wife was a 20 something year old young woman from Iran. At the beginning of their short term marriage, the Husband moved her to the United States away from her home. The Wife was very self-motivated, taught herself English, and obtained an entry level position working retail sales in the mall. I think my opposing counsel would agree this young lady had an exceptional work ethic. By the time the case was over, she was the assistant manager of a luxury retail store. Stephens: When the Wife consulted with me she presented the Husband’s petition for divorce and her “Mahr”, a hand written religious document. Reading the translation of this document I learned that if the Husband ever filed for divorce, the Wife would have entitlement to a copy of Koran, some livestock, and most interesting 1014 Bahar Azadi gold coins. While I am very familiar with litigating agreements, I was very concerned whether I could get an American judge to enforce such a seemingly archaic document. The Mahr precluded the Wife from seeking a divorce. If the Husband filed for divorce and the Wife had been “obedient”, in “good humor” and never committed adultery during the marriage, the contract clearly provided she would receive these coins. Legal research revealed only one reported case in Florida concerning the enforceability of a Mahr. Akileh v. Elchahal, 666 So.2d 246 (Fla. 2nd DCA 1996). 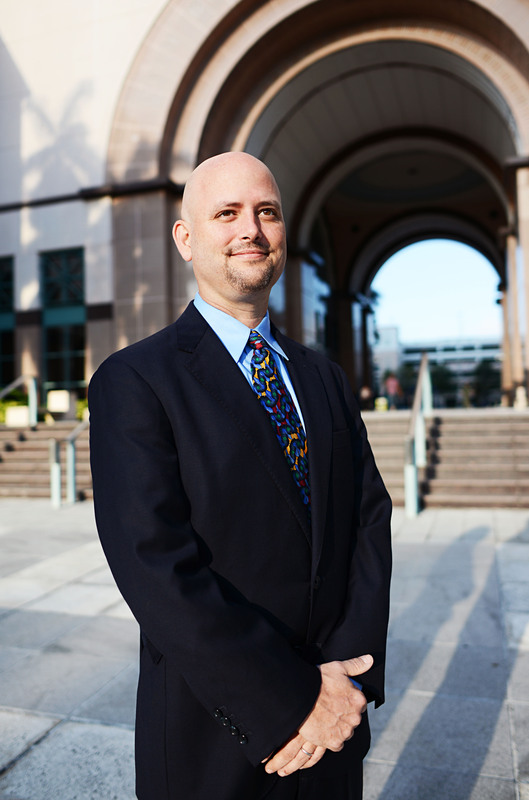 Akileh provides Florida Courts will enforce the secular portions of a Mahr even if it was entered into as part of a religious ceremony. The Husband’s petition for divorce did not mention or otherwise make the Mahr an issue. In response, I made a demand for 1014 Bahar Azadi gold coins. Crawford: I was the second lawyer and became involved in the case well after the initial filings. As such, this unique litigation had already taken a lot of unexpected turns by the time I entered my appearance. The pleadings read like a novel, not the run of the mill dissolution that we know all too well. Knowing my friend Mr. Stephens was opposing counsel, I invited him to lunch to see if I could coerce the “real” story out of him. I was confident that he and I could find a way to resolve the legal issues. After all, Stephens and I had settled numerous cases in the past and I was still trying to believe that the case was relatively simple. At that time, I couldn’t fully appreciate how wrong I was. I was met with an offer of settlement of 1014 gold coins, which, by the way, is nearly a million dollars! My client was a middle-management banker earning approximately $80,000 per year. He didn’t have a million dollars lying around. Stephens: The demand for gold coins was refused and the Husband’s answer attacked the validity of the Mahr. Not only did the Husband make claims the Mahr was unenforceable due to public policy, he also made every traditional challenge to the agreement that one could make, including duress; he claimed he did not understand the agreement because it was written in a foreign language; he did not sleep before he signed it; and there was no financial disclosure. In addition to these claims, the Husband alleged the agreement was void because the Wife was guilty of “ill humor”, “disobedience”, and “infidelity”. As if this case could not get any more complicated, the Husband’s first lawyer pled “Lex Loci Contractus” as an affirmative defense and suggested that the law of the case must be governed by the law of the place where the contract was made, Iran. Stephens: I did not have a small fortune to spend on a private investigator as the Husband did. I could not afford the type of experts the Husband engaged and flew in for testimony. I did have a decent fact pattern and a very smart Trial Judge. The Husband committed himself to a fact pattern with his first attorney and some of it just did not add up. Crawford did an incredible job presenting what she had, but her client took hits on credibility that could not be undone. For example, the Husband’s claims that he could not read Farsi were absurd. He also committed himself to the testimony that he did not understand the contract. Even more absurd was his claim that he did not know he was getting married. His testimony was directly contradicted by the wedding video where the agreement was clearly explained to the Husband provision by provision. The wedding video showed clearly that the Husband’s arguments were untrue. He was seen participating in the wedding ceremony. He was seen speaking in Farsi conversationally, clearly understanding what was said. He was seen as the Mahr was explained to him, provision by provision, while he was obviously under no duress. Crawford: With some real credibility issues, I had to attempt to have the judge see the inequity of this situation. We were very lucky to have an incredible expert witness on our side, an Iranian female attorney and Judge from Tehran, who now resided in Detroit, Michigan of all places. She was able to explain the role of religion in the Islamic legal system, the Mahr, the male-dominated society, etc. It was from her that I learned that we were dealing with a culture that allowed polygamy and overtly discriminated against women. For example, women are required to cover their entire bodies in public, they are unable to pursue certain areas of study or hold certain occupations, their testimony in court is not equivalent to that of a man, nor or they able to inherit in equivalent shares as men. To say the least, as a woman, it put me in an interesting position representing a man in this case. Stephens: I learned in Iran there are consequences of certain behaviors that simply do not exist in America. In our case, the Wife made allegations the Husband refused to honor the Mahr. The Husband made allegations the Wife was a disobedient, ill humored adulteress. While the consequences of these behaviors may not seem severe in the United States, in Iran the punishment can include physical punishment. So regardless of the outcome of the litigation in the United States, both the Husband and Wife initiated proceedings against each other which would have to be resolved before either party returned to Iran. The stakes of the case escalated quickly. Crawford: It was truly humbling to find myself in a situation where we had to ignore what he we knew about Florida (or even United States) laws and norms and put ourselves in the shoes of Iranian attorneys and try to convince the judge to do the same. While attempting to navigate our way through the Palm Beach County case, we were also trying to deal with reciprocal criminal cases and the respective attorneys in Iran (the Husband accusing the Wife of adultery, which carries the punishment of lashing or even, in extreme cases, stoning; the Wife accusing the Husband of drinking alcohol, which carries the punishment of lashing). This was definitely uncharted territory. Stephens: This trial was fascinating. It was a challenge. I had to be on top of my game and couldn’t miss a word. My opponent is a former prosecutor and speaks with authority and has a masterful command of the Courtroom. What surprised me most was how she actually was able to humanize her side of the case. It was also a pleasure that we let each other present our case. Not only did I have this incredible mix of legal and factual issues, I was litigating with a top notch family attorney who shares a similar respect for our rules of ethics and practicing with professionalism. Crawford: Trying this case, while exhausting, was truly an incredible experience. The stakes were extremely high and the clients were both wound pretty tight. The case had the potential to be a complete blood bath. Stephens was a true professional at every stage of the game. Much to my dismay, he was able to effectively call my client’s credibility into question. He didn’t care for my client one bit and I wasn’t the biggest fan of his; however, we managed to remain civil and even have a little (ok, a lot of) fun along the way. It didn’t hurt that we had a judge that was able to beautifully bring judicial professionalism and levity to a tense situation. Stephens: The Court found the Wife was obedient and in good humor. The Court found the Wife had not committed adultery. However, we had some real problems. While the Court bought Crawford’s legal argument and reduced the amount of gold coins owed, the award would have to take the form of a money judgment which did not seem collectible. The only source for payment was the Husband’s family. Under Florida law I could not force his family to make the payment. We were also faced with a second, more unusual problem: despite the findings of the American Judge, the Iranian divorce was still pending and my client faced 99 lashes if her Husband prevailed. The parties would not be on equal footing in Iran, as the country is male-dominated. This was certainly something new for me. I’ve never had to factor my client’s possible physical punishment into case strategy. Seemed like it was time to make a deal. Crawford: The judge made some rulings in our favor and some against us. Much to our relief, the Judge reduced the amount of coins that were due from my client to the wife substantially. However, my client was still faced with the reality of having a judgment against him in an amount that exceeded his ability. While we all knew that a judgment against this guy was only as good as the paper it was written on, my client was absolutely adamant that he could not have a judgment for both personal and professional reasons. He wanted to work “something else out” with his now former wife. Despite an exhaustive 3-day trial, many peripheral issues remained unresolved. Yep, it was time to make a deal. Stephens: Crawford and I were able to shift from trial mode to negotiation mode impressively fast. By the evening after trial, we were working on resolving all pending cases in Iran without any loss of flesh, and cooperating to obtain a legal dissolution in Iran while Crawford was able to negotiate a reduced payment. The Wife received a payment the Husband’s family was willing to make. Both parties left slightly unhappy, which means it was a good resolution. Crawford: Stephens and I found ourselves taking on roles we never expected — we were making telephone calls to embassies all over the world, speaking to dignitaries about expediting foreign documents, and facilitating the International transfer of gold coins. At the end of it all, I believe that both clients were satisfied with the results. They both compromised on some issues and prevailed on others. The experience was one that I will never forget. It certainly makes the rest of what we do on a daily basis seem mundane. As for Stephens, I have nothing but the utmost respect for him. Cindy Crawford is Senior Counsel in Greenspoon Marder’s West Palm Beach office. She graduated from the George Washington University School of Law and began her legal career at prestigious law firm in Washington, D.C., before relocating to Florida. 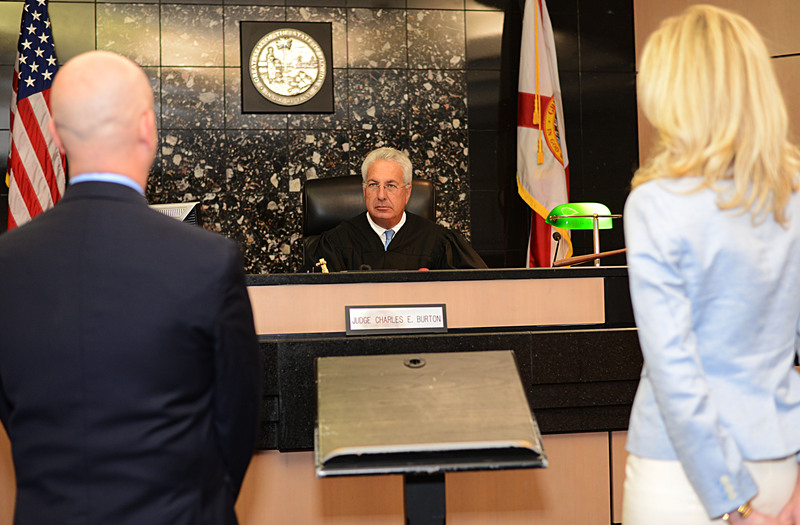 In furtherance of her dream to be a prosecutor, Crawford served as an Assistant State Attorney in the 15th Judicial Circuit where she had the opportunity to litigate over 50 jury trials during her tenure. 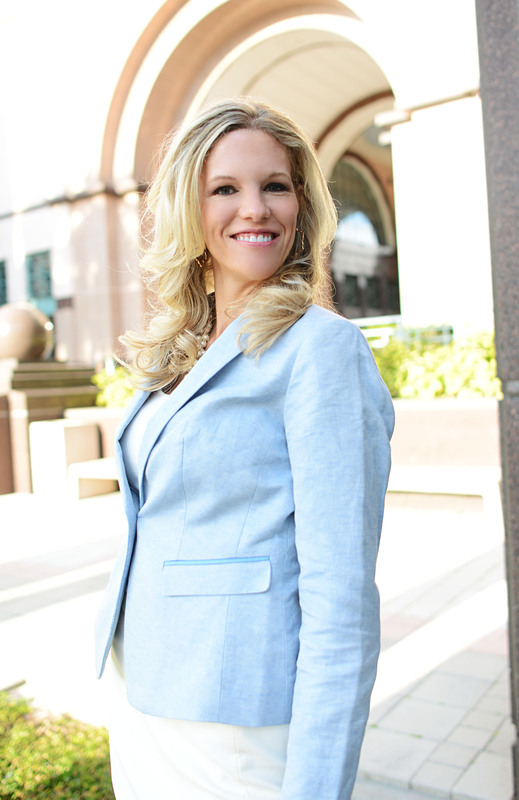 For the last 10 years, she has focused her practice on all areas of marital and family law. She finds serving the needs of Florida’s families both challenging and fulfilling. Originally published in the Family law Section’s, The Commentator (Spring, 2015).